Fawn. 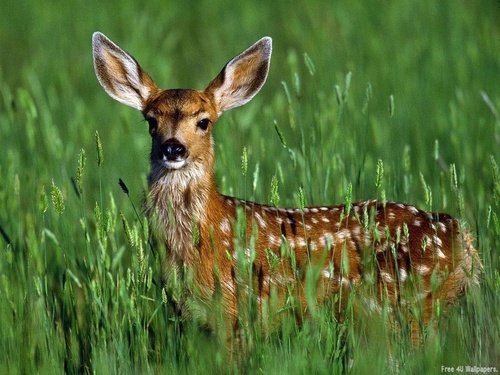 Fawn. HD Wallpaper and background images in the Wild Animals club tagged: wild animals nature..
OK, cadets ! Another way to trick people is play the motorbike. Just put your ears like this !.. Hi, I'm Bambi and welcome to the evening news!..